Emotional intelligence has now become a part of our everyday work discussions about working relationships, what makes a good leader, and how people cope with pressures and stress. While the principles behind emotional intelligence have been studied for a long time, the business world’s interest in this concept started in the mid-late 90s. Compared to other constructs such as traditional cognitive intelligence or conscientiousness, we only now have the data to support the benefits of having emotionally intelligent employees and leaders in the workplace. A white paper published by the Langley Group has summarised some of these findings. The bottom line impact of emotional intelligence is significant when it comes to ROI of recruiting emotionally intelligence managers (profit growth, reducing turnover and customer satisfaction). The question remains can emotional intelligence be developed over time or are you just born with it? For any trait humans have, whether it is a type of personality, behaviour, disorders, there are two different schools of thought – nature versus nurture. Are we born or hard-wired to have certain traits, no matter what we do, or can we change and develop a certain trait depending on our environment, support or dedication to acquire a new way of being or behaving. A lot of the time the conclusion is – bit of both, and this goes for emotional intelligence as well. Some people may be naturally better at this than others, but that is not to say a person can’t get better at it over time. However, the further a person is from being naturally emotionally intelligent, the more support and dedication is needed to improve. As we are developing a greater understanding of the brain and how it impacts us psychologically, there is science to back this up. Humans are geared to life-long learning and growth. 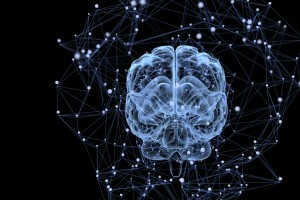 Our brain cells are continually forming new connections and restructuring our perceptions and physiology (called neuroplasticity). This process happens thousands of times a day, giving us enormous potential to change if we put awareness, effort and commitment into making it happen. As we were told as children, practice makes perfect! How do you develop your emotional intelligence? 1 – Self-awareness: You need to get feedback on what you do well and what you need to improve on. A self-report or a 360-degree emotional intelligence assessment may be useful in doing this. 2 – Targeted change: Focus on 1-2 areas that you would like to improve on that are going to make the most significant impact. 3 – Operate outside your comfort zone: To learn and change you need to challenge yourself. You need to think or act differently for a significant period of time before you will have sustained changed. This will create anxiety and fear, but the more you operate this way the less anxiety and fearful you will feel. The new behaviour will become unconscious and automatic. 4 – Re-assess: 6 or 12 months down the line complete another assessment (self-report or 360-degree assessment) to objectively see how you have changed. Leaders who are emotionally intelligent will positively impact your organisation’s bottom line. Emotional intelligence can be learnt and developed, with dedicated effort and support. To learn something new or change your behaviour, you need to go outside your comfort zone for a significant amount of time.